You may see any doctor working at any site, although we would encourage you to see one doctor for the duration of a problem. If you find it hard to get through to any branch, you can telephone any other branch to make an appointment at any of our surgeries. There is a Saturday morning surgery at Meadow Lane (9.00 am - 12.30 pm). Appointments for these surgeries must be booked in advance and are open to all our patients irrespective of where they are normally seen. If you are unable to attend this appointment, please contact the surgery the day before. 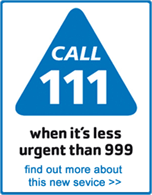 This is NOT a walk-in or emergency surgery and you should contact the out-of-hours service should you need urgent medical advice. If you wish to speak to the doctor or nurse your details will be taken and they will phone you back later. If the matter is urgent the duty doctor will speak to you straight away. Appointments may be booked up to one month in advance and will be made with the doctor or nurse of your choice if at all possible. Patients can be seen at any of our sites, dependent on the patient's needs or doctor availability. If an appointment is required urgently, you may telephone after 8.00am. Please do not call into the surgery expecting to be seen without telephoning first. If you do so you may be given an appointment later in the day and will therefore have to come back to the surgery. You will be given an approximate time, but if someone is seriously ill or the doctor is called out, your appointment may be delayed. The service is staffed by local Suffolk GPs and Nurse Practitioners in Sudbury (from 19th November 2018) on Monday and Friday evenings 6.30 - 9pm and Saturday 9am - 1pm. GP+ is also available in Bury St Edmunds, Haverhill, Ipswich, Felixtowe, Stowmarket, Leiston, Mildenhall and Wickham Market and is an NHS service delivered by the Suffolk GP Federation.